See how performance, luxury, and technology all come together in one driver-friendly package. The 2019 BMW 7 Series helps you enjoy every moment behind the wheel in Westchester County and Yonkers. This sedan is engaging, intelligent, and intuitive, and that’s something you’ll see when you visit us here at BMW of Westchester. After you’ve taken a test drive, be sure to check out our current 2019 BMW 7 Series lease offers, and see why a lease of a 7 Series can make sense for your lifestyle. The base 7 Series (740i sedan) comes with a V6 engine, which delivers 320 horsepower. If you’re looking for more power, the 750i certainly has it, with a 4.4-liter V8 engine delivering 445 horsepower. Regardless of which 7 Series you choose, you’ll have no problem with those pass-and-merge maneuvers on the highway, but taking on city streets is fun, too. The large 18.2-cubic-foot trunk has plenty of space for a few bags of golf clubs for a weekend getaway, so throw them in and head out to the green in style. You’ll be able to get there powered by state-of-the-art technology, which includes wireless device charging, and the iDrive infotainment system, with a massive 10.2-inch touchscreen guiding you on every drive. The BMW 7 Series can be yours through a lease. While there are many drivers who choose to purchase a car, exploring a lease can give you the opportunity to enjoy a luxury vehicle without having to pay the full price. From the length of the term to the mileage needs, a lease can be crafted to give you flexibility. You’ll be able to enjoy lower monthly payments and upgrade to a new BMW every few years. When the lease is coming to an end, the lease-end inspection will be performed. Completing this inspection ensures that the vehicle is running smoothly and without issue. After you’ve turned in the vehicle, look for your next BMW with our sales team. If you’ve considered becoming the owner of the vehicle, sitting down with our financial team to discuss buying out the remainder of the lease is an option, too. The best way to maximize the performance of the 7 Series is to stay up to date with all required BMW maintenance. 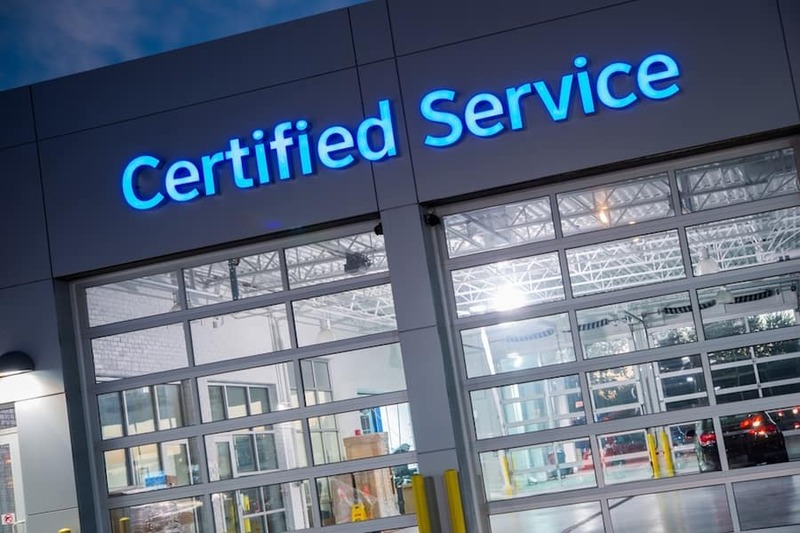 Our BMW technicians will take care of those oil changes, brake inspections, tire rotations, and wiper blade replacements, so you’re able to enjoy the roads and your driving experience. Schedule a service appointment on our website today. It takes just a few minutes to do so. Leave the preventive maintenance to our experienced team. We’ll return your car to the road as soon as possible. The 2019 BMW 7 Series is a well-appointed and powerful sedan. Explore 2019 BMW 7 Series lease offers here at BMW of Westchester, and take a test drive around Westchester County and Yonkers roads, too. Have any questions for our financial professionals? Reach out to our staff today, and they’ll provide the answers.